I am starting a Gluten-Free Christmas Baking Recipe Round-up that will be posted in the next few days. Get ready to put on a few pounds, or do what I do and give them out to the teenagers that are constantly coming in and out of your house. It is time. Time for the Christmas music to be on, and time for Taylor and Jordan to smell Christmas every time they come in the door. 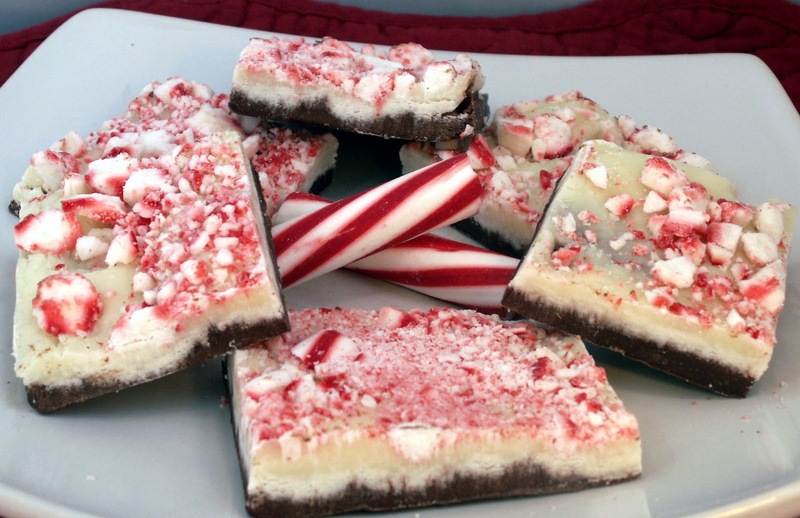 So I am kicking off the baking season with Peppermint Bark. I adapted this recipe from TheBrownEyedBaker. My disclaimer is that if you are gluten free, please double check that the candies and chocolates you use are gluten free. 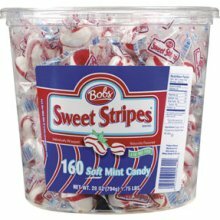 I found bob's sweet stripes which are gluten free candy cane strips. This recipe is for a small batch. 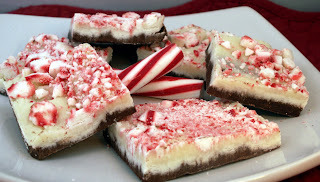 I want my kids to be able to walk after they are done eating all of this holiday baking I am doing. You can double it for a full recipe. Look, I cheat. I don't get out the double broiler. I simply Melt the dark chocolate in a glass dish for 3 minutes on 50% power. Stir until smooth and then spread in an even layer on a wax paper-lined baking sheet. Place in freezer to harden, approximately 30 minutes. Repeat the process. Melt the white chocolate in a glass dish for 3 minutes on 50% power. Stir in corn syrup immediately and stir until smooth. Spread on top of the dark chocolate layer. Working quickly before the white chocolate sets, sprinkle the crushed candy canes on top and gently press into the chocolate. Refrigerate until complete hard and set, at least 2 hours. This would make a beautiful gift and it looks so easy! My white chocolate instantly seized the second i added the corn syrup. Not sure how yours stayed so nice and creamy looking!